Made fresh daily it combines 2oz of Sunflower Sprout Juice, 2oz of Pea Sprout Juice, 2oz of Celery Juice and 2oz of Cucumber Juice. Juice using a masticating juicer and consume instantly or at least within 15 minutes to maximize nutrition. When we juice we allow the body to uninterruptedly absorb all the vitamins, minerals, trace minerals, hormones, oxygen, phytonutrients and enzymes our body needs to achieve optimum levels. 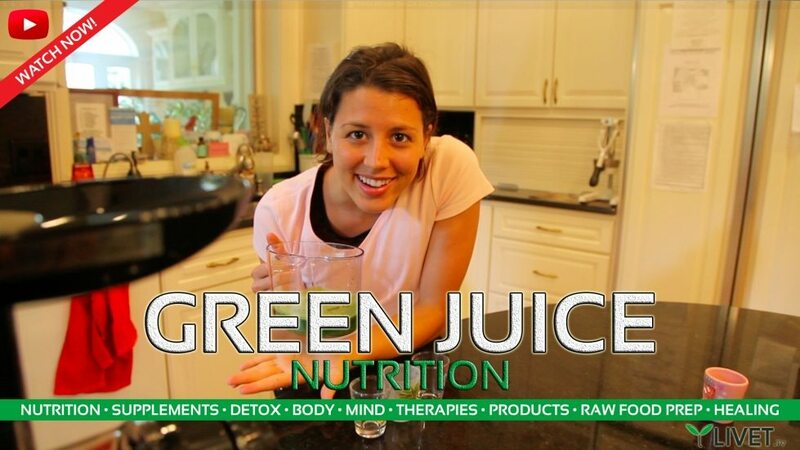 Green Juice feeds the cells the nutrition it needs and allows it to then detox waste it does not need. 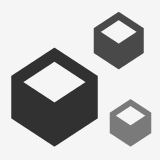 (LIVET.tv) All major religions and major cultures have had two things in common throughout the history of the world. One of those things has been a fermented food. We have targeted high quality fermented red cabbage sauerkraut as the best fermented food. After fermentation you will find the sauerkraut contains probiotics as well as digestive enzymes. With the proper flora in your body you will be able to properly digest all the food you eat. Also these proper organisms in your body will prevent the growth of bad bacteria and bad yeast. (LIVET.TV) We have selected the 7 top foods for you to consume daily to four times a week for maximum nutrition. Life comes from Life so eat living plant based foods. The sun provides the energy we need to survive. This energy is trapped within plants and when we eat these plants in their highest states our bodies receive that energy and frequency. The purpose of eating is to gain nutrition for the body, not to fill an empty hole and hope our body knows what to do with it. What the body needs from food is Amino Acids, Lipids, Carbohydrates, Vitamins, Minerals, Trace minerals, Hormones, Oxygen, Phytonutrients and Enzymes. 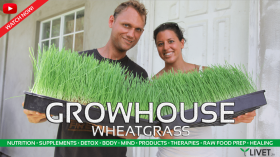 Wheatgrass is a complete food and is the king of healing & nutrition among all land plants. Wheatgrass contains 92 of 102 minerals found in soil and is concentrated in chlorophyll, nature’s blood rebuilder. 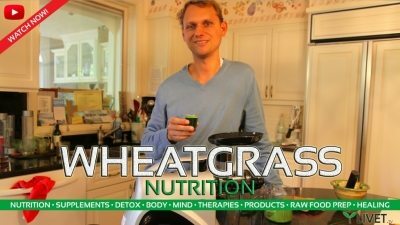 Wheatgrass is 30 times more nutritious then the most nutritious organic vegetables. Loaded with plant enzymes, hormones, oxygen, and phytonutrients, including wheatgrass alone into your life will bring back your youth’s most vibrant energy and vitality into your brain and body. 30 TIMES MORE NUTRITIOUS THEN THE BEST VEGETABLES! Sprouts are baby plants just starting to grow from exposure to water. They have all the nutrients of mature fruits & veggies like the Vitamins, Minerals, Protein, EFA’s & Enzymes but only take days to grow. 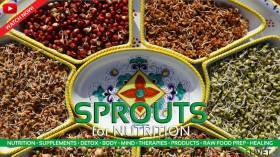 Sprouts give you more energy than any other food. Stick with Mung Beans, Fenugreek, Garbonzo Beans, Brown Lentils, Green Lentils, Adzuki Beans, and Broccoli Seeds for Sprouting Efficiency. Also referred as Hemp Nuts or Hemp Hearts, Livet acknowledges Hemp Seeds as 1 of the top 5 most nutritious and easily digestible foods on the planet, along with Wheatgrass, Sprouts, Blue-Green Fresh Water Algae and Sea Vegetables. Hemp Seeds contain ABSOLUTELY NO THC when consumed as a food. They are a complete protein and perfectly balanced source of Omegas that stimulate healing and reinforcement of our blood, cells, and tissues for a healthy body & brain. Consumed by ancient civilizations of the Mayans, Incans, & Aztec warriors and Native American Cultures, Chia is one of the nature’s perfect foods for optimum health! It is nutritionally dense, making a small bit of Chia go a long way for providing you with the nutrients you need for you day. 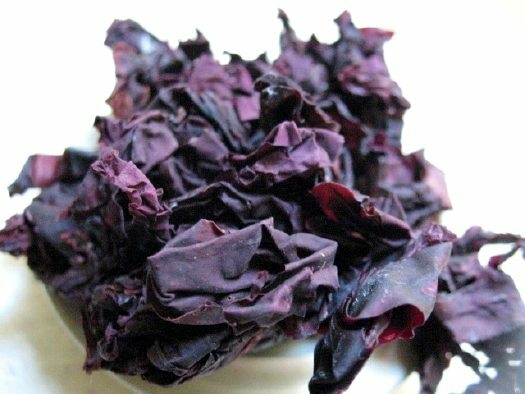 The most nutritious food coming from the sae that is available and affordable for daily consumption is Dulse. Contains an abundance of minerals, trace minerals and amino acids that all work together to build and maintain cell function. All major religions and major cultures have had two things in common throughout the history of the world. One of those things has been a fermented food. We have targeted high quality fermented red cabbage sauerkraut as the best fermented food. 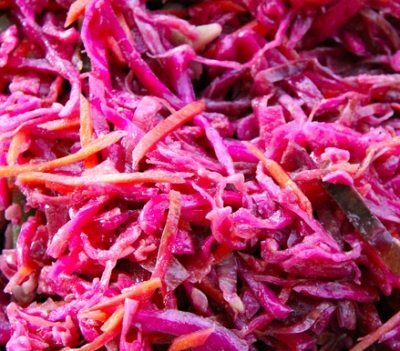 After fermentation you will find the sauerkraut contains probiotics as well as digestive enzymes. With the proper flora in your body you will be able to properly digest all the food you eat. Also these proper organisms in your body will prevent the growth of bad bacteria and bad yeast. Your Source for Nutrition, Health & Healing … Because the First 3 Letters in Diet Spell _ _ _! It’s Time to LIVET… by Making Proper Lifestyle Choices about Nutrition, Supplements, Detoxing, Body Activation, Mind Activation, Products, Therapies, Food Prep, Your Daily Routine and more… You Will Watch Your World Open Up to Higher Levels of Health in Your Physical, Emotional, Mental & Spiritual Worlds. On the LIVET LIFESTYLE You Will Start Living To Your Optimum Potential! Get inspired to be a LIVETARIAN and practice by Making the Greater Majority of the Food You Consume RAW LIVING FOODS like: RAW VEGETABLES, LEAFY GREENS, WHEATGRASS JUICE, SPROUTS, HEMP, CHIA, AVOCADOS, LOCAL RIPE FRUIT, SPROUTED NUTS, SPROUTED SEEDS, ALGAE & SEA VEGETABLES. Drink Water, Take Supplements, Breathe, Get Sun, Stay Active in Both Body & Mind, Practice Healing Therapies, Purchase Healthy Products for Your Home and Detox Your Body By Not Putting Toxins in It: NO MILK, NO CAFFEINE, NO SUGAR, NO DAIRY, NO GLUTEN, & NO STORE BOUGHT PROCESSED MEAT. We Hope to Inspire You to go on a LIVET! (LIVET.TV) Flint MI where LIVET LIFESTYLE filmed is full of apples trees & has three major apple orchards. We connected these local orchards with the local schools so that the kids will receive a local apple with their lunch in the fall. We also discuss the importance of this local fruit compared to the stuff being imported from Chile. “Not even five minutes after watching LIVET LIFESTYLE the DOCUMENTARY I was outside in my backyard eating an apple off my own tree. I have lived in a neighborhood that was built on land purchased from an apple orchard and a lot of trees still remain. For thirty years I have never eaten the fruit off my own trees. I have just assumed it was no good because it wasn’t bright red, shiny & without flaws. Wow, I have now come to realize that my apples, when ripe & ready are packed full of nutrition and phytonutrients. The apples in my big time grocery store are picked when not ripe, then are treated with chemicals and in the end they rob my body of nutrients. 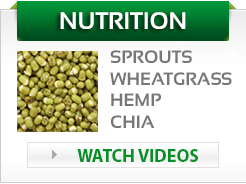 (LIVET.tv) Also referred as Hemp Nuts or Hemp Hearts, LIVET acknowledges Hemp Seeds as 1 of the top 5 most nutritious and easily digestible foods on the planet, along with Wheatgrass, Sprouts, Blue-Green Fresh Water Algae and Sea Vegetables. Hemp Seeds contain ABSOLUTELY NO THC when consumed as a food. 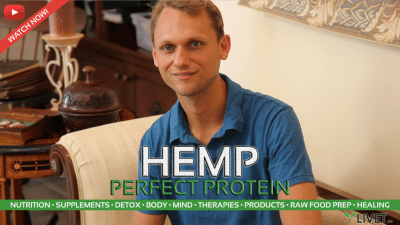 They are a complete protein and perfectly balanced source of Omegas that stimulate healing and reinforcement of our blood, cells, and tissues for a healthy body & brain. (LIVET.tv) Sprouts are baby plants just starting to grow from exposure to water. They have all the nutrients of mature fruits & veggies like the Vitamins, Minerals, Protein, EFA’s & Enzymes but only take days to grow. Sprouts give you more energy than any other food. 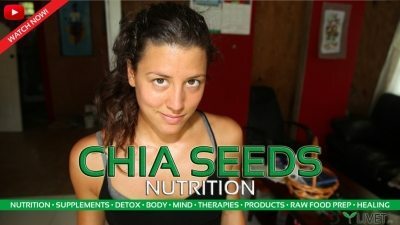 (LIVET.tv) Consumed by ancient civilizations of the Mayans, Incans, & Aztec warriors and Native American Cultures, Chia is one of the nature’s perfect foods for optimum health! It is nutritionally dense, making a small bit of Chia go a long way for providing you with the nutrients you need for you day.